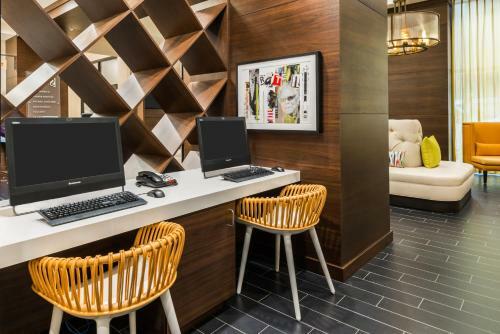 Free high-speed internet access free evening wine tastings LCD TVs and designer amenities enhance the Southern hospitality for guests at the non-smoking Ellis Hotel. 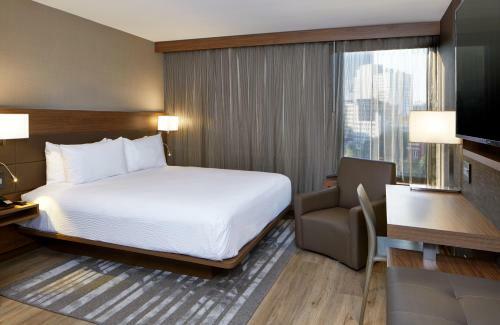 Charm abounds at the 15-story Ellis Hotel where the 127 rooms and suites are elegantly designed with bamboo paneling and have private bathrooms with stone flooring walls and countertops. Each room offers pillowtop mattresses and either feather or foam pillows (your choice) free high-speed internet access LCD TVs with premium channels and pay movies iPod docks and bathrooms with rainfall showerheads and designer toiletries. The hotel also has a fitness center a business center and sophisticated meeting spaces. 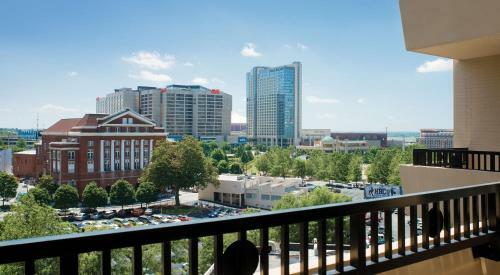 Take in the view of Peachtree Street from the award-winning on-site restaurant serving sustainable cuisine for breakfast lunch and dinner. And don't miss the daily happy hour and free wine tastings in the lobby lounge. 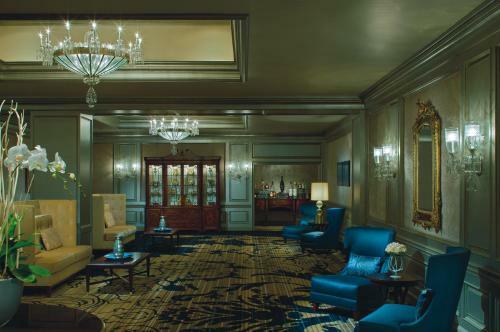 The hotel also offers a women-only floor featuring secured entry fluffy slippers and curling and straightening irons. Pets are permitted and valet parking is available both for an additional fee. 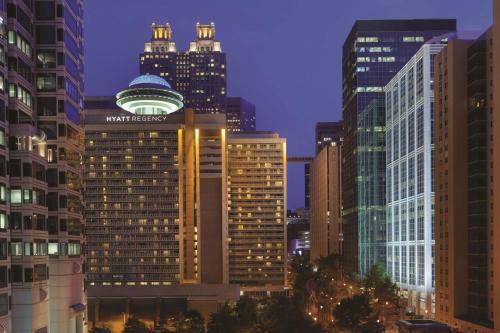 The Ellis Hotel in downtown Atlanta is located on Peachtree Street 20 minutes via the city's subway line direct to/from the Hartsfield-Jackson Atlanta International Airport (10 miles south) and offers valet parking (for an additional fee). The CNN Center and Centennial Olympic Park are a quick 10 minutes away by foot the Georgia Dome is one mile west and the Georgia Aquarium and Coca-Cola Museum are each with a 15-minute walk away.